Vice President Yemi Osinbajo on Thursday said that the Nigeria Police Force is among the best globally. He made the remark while laying the foundation for the construction of the Crime and Incident Data Base Centre at the Force Headquarters in Abuja. According to him, the Nigerian Police personnel, from many instances worldwide, are better trained and equipped than their counterparts in other countries. But he promised that the government will continue to support it achieve more successes, nationally and globally. He said: “The Nigeria Police is one of the very best that we have anywhere in the world and I say so because I have worked with law enforcement agents for many years. I have served in the United Nations special operations in the justice sector like the UN Mission in Somalia for about a year and I saw Police Forces from everywhere across the world. “The Nigeria Police was there too and everybody admitted that they were possibly the most effective on ground there in Somalia. They were effective because they were better trained, better educated than every other Police Force that was there, besides, they were well equipped by the UN,” he added. 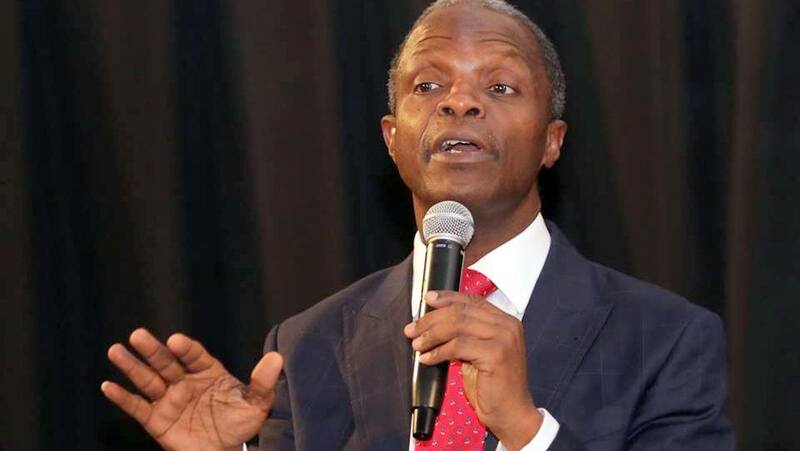 The Vice President commended the establishment of a Crime and Incident Data Base Centre for the Police, adding that Nigeria was ready for smart policing. The Centre, he said, will go a long way in helping the Police address crime using technology. “The direction that we should be going is smart policing. Policing that is technology serving and based more on common sense and technology than just manually doing everything. “I think one of the most important things that this Crime Data Base Centre will do is to equip the Police, to be able to do the kind of investigation that is required to cope with crime today,” he said. He urged the Police to collaborate with other data processing agencies in the country in order to fully utilize the Centre. Speaking earlier, the Acting Inspector General of Police, Mr Ibrahim Idris said the data base centre will further equip the police in its quest to rid the country of criminals. According to him, the project is estimated to cost over N16 billion. “This project is costing about N16 billion but this is the first phase. The federal government has been supporting us to modernise the Police Force, to ensure that we move in tandem with modern strategies in policing. For us, it’s very important to move ahead of the criminals, who always want to be a step ahead of us, so that we will be able to arrest and prosecute them,” he stated.